About Capewell Carpet Cleaning Nottingham. 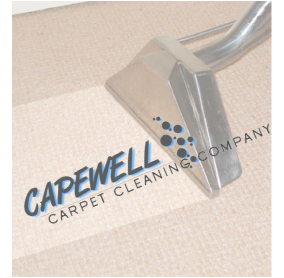 Capewell Carpet Cleaning Nottingham as been established over 20 years operating in the Nottingham area by providing a first class Cleaning Service to public houses. hotels, nursing homes, restaurants, shops and residential properties.as well as a host of organisations, groups and societies. Why should you have your Carpets and Upholstery Cleaned? Your clothes collect dirt and grime and are Cleaned regularly - just think what your Carpets and Upholstery are absorbing on a daily basis . Cleaning your Carpets and Upholstery rids them of dirt, grit, pollutants and odour's as well as dust mites and their feces and other critters too small to see, leaving a healthy indoor environment and prolonging the life of your Carpets and Upholstery. Cleaning using Hot Water Extraction is the safest way of Cleaning Carpets and Upholstery. This method is the safest most effective method of Cleaning available today. Hot water extraction Cleans deep down into fibers which are then rinsed, this extracts allergens, pollen, dirt and grime leaving your Carpets and Upholstery deep down Clean and deoderised. Drying times with this method will depend on how dirty the Carpet/Upholstery hold and how deep the clean required is in most extreme cases we estimate around 2 hours. The equipment we use is the latest high tec machinery, and effective for hot water extraction Cleaning. Drying times are kept to a minimum depending on the type of Carpet and Upholstery, type of underlay/padding, airflow through the room. One thing you can be sure of is our promise that you will receive the very best Carpet Cleaning and Upholstery Cleaning Service from us.